Indie-pop outfit Shy Beast's new single "Flowers Grow" is premiering on November 21, exclusively on The Wild Honey Pie, here: bit.ly/2S6pYBw. "Flowers Grow" is the second single off of their upcoming EP "Leave Me/Let Me," out November 30. Last week, they shared "Leave Me Be" via Substream. "Leave Me/Let Me" was recorded at Good Danny's in Lockhart, TX with Danny Reisch, who produced Shy Beast's debut self-titled EP as well as their following single "My Stride." The follow-up to 2017's self-titled EP, Shy Beast's latest EP includes three honed tracks that add layers of maturity and complexity to their synth-driven, rollicking pop-rock compositions. They've found their stride as a group while simultaneously evolving their songwriting process, delving into deeper themes and rising into a new pantheon of sounds and tones. Shy Beast is undeniably Austin, with a strong following of friends and fans. But the band is not bound by geography or genre-the appeal is universal, while all their own. This tight-knit group evolved organically, with deep connections to one another and to the local music scene. Shy Beast is made up of Mariclaire "MC" Glaeser (lead vocals, synth), David Tenczar (guitar, backing vocals, synth), Andrew Bennett (lead guitar, synth, backing vocals), Jay Cesak (bass) and Drew Silverman (drums). All have collaborated in different iterations before joining MC in Shy Beast. MC's mature, feminine vocals belie the vulnerability she confronts in her honest, straightforward songwriting and the refreshingly playful charisma she exudes on stage. This demure beauty breaks free all insecurity-jiving behind the keyboard, breaking into Byrne-esque dance moves, miming her passions and pain, and belting out choruses in a swell of certain strength. 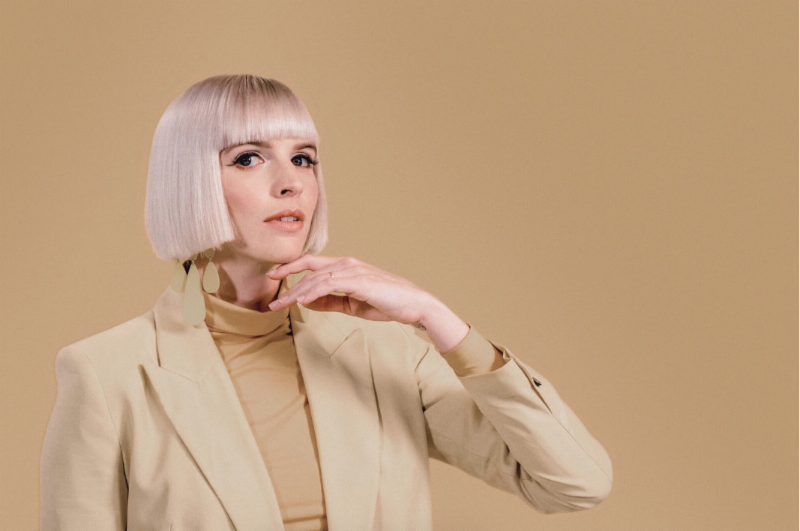 With inspiration ranging from The Cardigans to Burt Bacharach, MC says her ultimate goal in writing songs is to "make people feel something similar to my experience, and also get them to move." Leave Me/Let Me is out November 30.